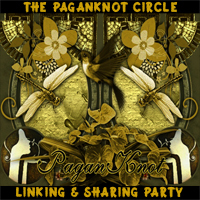 ~PaganKnot ~ – Blessed Be The Children of the Earth! Blessed Be The Children of the Earth! It’s Time We Got To Know One Another! I certainly hope everyone is having a safe and happy holiday so far, whichever holiday you celebrate, in whatever way. The world needs love and blessing more than anything else right now, and if only we could all realise we are cut from the same type of molds, the human mold, and color, race, and … More It’s Time We Got To Know One Another! Leave a comment It’s Time We Got To Know One Another! Graphics Givaway at my Digital Resource Store! Hello my Pagan and Spiritual Friends. For those of you who love to create art, or do scrapbooking, or simply like graphic resources, I wanted to make you aware that my digital resources store is holding a little give a way. You don’t have to purchase anything, altho I will love you forever if you … More Graphics Givaway at my Digital Resource Store! Leave a comment Graphics Givaway at my Digital Resource Store! Samhain (SOW-wain) Oct 31- Nov1 Samhain is a special time of year for all kinds of people. It is filled with tricks and treats for many and for others it is the beginning of the New Year. It is the third harvest of the year and a time when the seeds can once again rest … More What is Samhain? Leave a comment What is Samhain? Enter your email address to follow us by email.